Originally founded as Tundra Controls Ltd. in 1999, Tundra Process Solutions Ltd. has evolved to bring uniqueness to industrial clients, offering a diverse range of product, solution and integrated package design and custom integrated solutions for any application. Tundra represents industry leading manufacturers in Artificial Lift, Motors & Drives, Boilers & Water Treatment, Panels & Buildings, Valve & Actuation, Instrumentation & Controls, and Service & Support. Tundra’s factory trained technicians are spread across North America and are available to assist with services such as start-up & commissioning, preventative maintenance plants, trouble-shooting, and repairs 24/7. Tundra can customize any service plan to meet your specific budget requirements. The MagWave is a level measurement system which combines a highly visible magnetic level indication with an output from a Guided Wave Radar Transmitter. The MagWave features two separate close-coupled chambers for the level indicator float and the Guided Wave Radar antenna. Using single probe radar transmitters in the standard 1-1/2 inch chamber provides the measurement capabilities of coaxial style probes without the potential for fouling due to buildup. The separate float chamber allows the float to travel unobstructed throughout the range of measurement. Redundant level control can be achieved by adding a magnetostrictive transmitter or switches to the float chamber. FCB330 & 350 are the most compact coriolis mass flowmeters on the market. With no up or downstream piping requirements they can be installed in the tightest spaces, enabling applications not possible before. Plus, their low pressure drop and wide measurement span save you money compared to other brands and make them the better alternative for many applications. The V-Cone Flow Meter is an advanced differential pressure instrument, which is ideal for use with liquid, steam or gas media in rugged conditions where accuracy, low maintenance and cost are important. 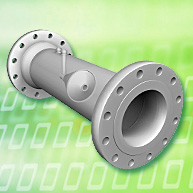 With its DP built-in flow conditioning design, the V-Cone Flow Meter is especially useful in tight-fit and retrofit installations in which the long runs of straight pipe required by Orifice Plates, Venturi Tubes, and other technologies are either impractical or unavailable. 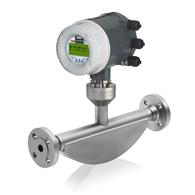 The V-Cone Flow Meter is designed for today’s most challenging oil / gas production, chemical, food & beverage, plastics, pharmaceuticals, district HVAC, textile, power and water & wastewater applications. CIRCOR manufactures gate valves in cast carbon steel, stainless steel, alloy steels and forged steels. 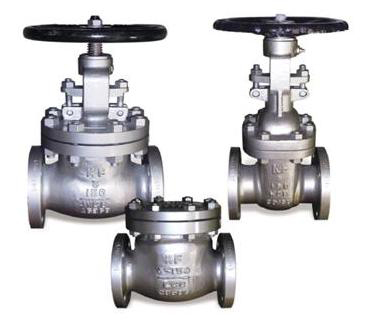 Their high quality materials and leak-proof designs meet demanding API, ASME and ANSI standards; with pressure seal, flanged and bolted bonnets.Circor also manufacters Globe Valves with either a Y, Angle or Direct passageways and with bolted, pressure seal or welded bonnets, and are perfectly suited for frequent on / off applications due to the short travel of our disc between the open and closed positions.